Hunting season in Portugal starts in August and runs through to the end of February each year. Even though we have some gorgeous places to walk in the countryside along the Silver coast on Thursdays, Sundays and Bank Holidays you are now sharing your dog walks with hunters. Reasons to avoid hunting areas when walking your dog: Read more. The legislation for dogs travelling in vehicles varies from country to country and it is wise to know what is required to ensure the safety of your dog and others and avoid potential fines etc. for not abiding to the laws. The legislation for Portugal states that dogs must be suitably restrained in a separate passenger area where they cannot interfere with your driving. Read more. 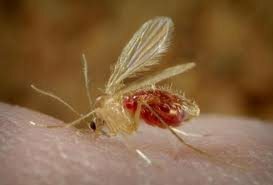 Leishmaniasis is a potentially fatal disease for our dogs, with approximately 2.5 million dogs infected in Europe. 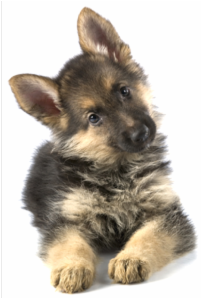 However, the good news is that after 20 years of research Portugal has been chosen to be the first country to be able to offer a vaccine against canine Leishmaniasis. Up until now we could only hope to provide protection to our dogs if they are in an area prevalent in Leishmaniasis by using insecticides. Read more. Our dogs are probably the only animals expected to think and act like people rather than animals. They are expected to prefer people and to defer to our wishes at all times no matter what is going on around them. We also expect them to already know how to be the perfect companion, unfortunately these high demands placed on our dogs can lead to a very stressful life for them and us. Dogs are only perfect at being dogs and their individual self. So lets see briefly how our dogs see their world and maybe through taking time out to see things from their perspective we can understand more about why they do the sometimes bizarre things they do. Read more. Do our dogs have emotions? A question that has been argued for many years! American Neuroscientist Jaak Panksepp and his colleagues have spent many years researching this and have found seven basic emotions - SEEKING, FEAR, RAGE, LUST, CARE, PANIC and PLAY. Being able to perform normal canine behaviour satifies our dogs core emotions, promoting a relaxed happy dog. These days a lot of dogs are unable to perform these canine behaviours due to the restraints of walls, fences and leads etc. Read More. As those of you living in the UK are aware it is coming up to the time of year where our animals have to contend with fireworks. Those of us living in other countries will have them at other times of the year, over here in Portugal we seem to have them on a very regular basis. Fear is a very natural behaviour for our dogs, it helps with survival, if they approached everything in full gusto this would put their survival in jeopardy. Therefore it is in their best interests to be wary sometimes to avoid any harm coming to them. Read more. Target training is where you teach your dog to touch or orient towards an object, person or area. Your dog can be taught to target using most parts of their body e.g. nose, paw, hips, shoulders and eyes. You can train your dog to target your hand, a stick, a mat, a plastic lid, even something they previously were wary off, plus much more. Your imagination is all that limits the possibilities for you and your dog. Read more. Summer is a time where many of us tend to go out and about with our dogs enjoying the lovely weather with them. However we need to remember to keep our dogs safe on those glorious sunny days. We can dress appropriately for the heat keeping ourselves cool but our dogs do not have this option. Our dogs do not sweat through their skin like we do, the only way they can release heat is through panting or sweating through their pads and nose. If their body temperature reaches 106 degrees farenheit damage can occur to the organs in their body which may become irreversible. Read more. Well the season of goodwill is nearly upon us and being the loving dog owners that I am sure you all are you will want to involve your dogs in as much as possible but the Queen song springs to mind here - 'Too much love can kill you just the same as none at all' - it is very important that your dog's routine changes as little as possible over the festive period helping them to avoid getting over excited or nervous. Read more. Dogs, like humans, need to have something to do, have a purpose, we go out to work, we find ways to amuse ourselves when we are not working. Most dogs were originally bred to work and many still have the need to continue to do this, if we do not provide the work for them they will go out and find their own work, a self employed dog is a disaster waiting to happen. Their health, physically and psychologically is dependent on the environment they live in. 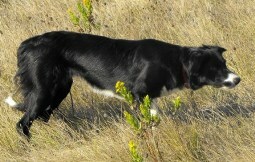 They are motivated to do certain behaviours, searching for food, retrieving, herding etc. If they are not able to perform the behaviours they are motivated to do they may become frustrated resulting in redirected, abnormal or aggressive behaviours occurring e.g. over-reacting, being over sensitive or being lethargic and inactive. Read more.